Our Foam Wall Berm Specifications page is designed to provide you with details regarding the construction, design and fabrics used for the the foam wall containment berms. Foam wall berms are part of our low-profile berm variety and are designed for applications requiring easy mobility on and off the berm. As items are moved over the berm walls, foam walls will indent slightly and then pop back up into place. This provides ideal containment for quick response, temporary storage and multiple storage requirements. 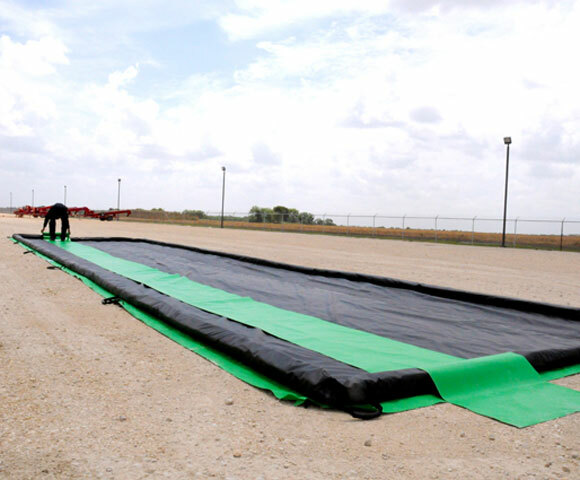 The foam wall spill berm is an incredibly easy-to-transport containment barrier and has been used for applications ranging from emergency response and spill containment to secondary containment for vehicles and machinery. Compared to other spill berms, the foam wall model helps make drive through applications easy by allowing vehicles to be moved directly onto the berm without having to adjust the wall. This can help decrease setup times and prevents hassle during containment. 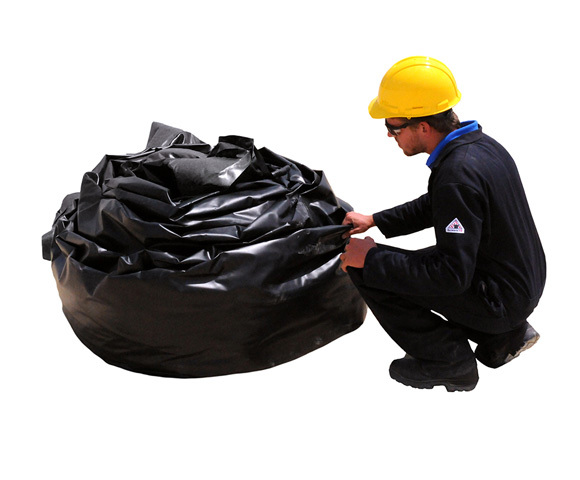 In addition to these specific berms, we also offer a variety of other spill containment products including basins, trays, containment tanks and more.